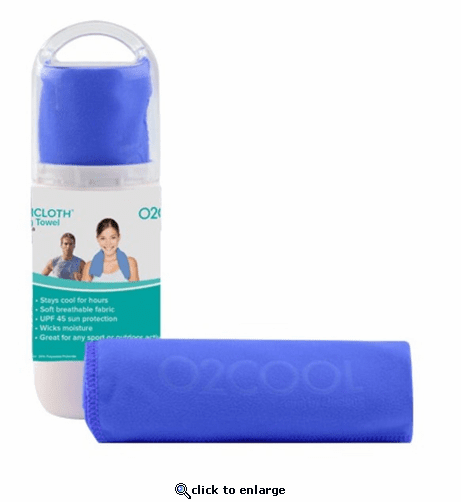 ArctiCloth Premium Soft Cooling Towel 33 x 13"
O2COOL's soft cooling towels are another great way to stay cool. The towel stays soft and absorbent even when dry. When wet and placed around your neck, the water begins to evaporate cooling your skin by as much as 20 degrees. Great for any sport or outdoor activity.